Australian National University has received $50 million for scholarships from entrepreneur and philanthropist Graham Tuckwell and his wife Louise. The donation is the largest ever by an Australian citizen to an Australian university, and will begin in 2014. “Both my wife and I benefited enormously from our formal education … we would like to give that opportunity to other young Australians,” Mr Tuckwell said today. Mr Tuckwell built a business career in mining before establishing a commodities trading business in the UK. ANU said the Tuckwell Scholarsip program would select candidates from a cohort of school-leavers whose ATAR is 95 or above and who “display a rounded set of attributes”. ANU Vice-Chancellor Professor Ian Young welcomed the donation, and said it would allow ANU to attract the “best and brightest” students from across Australia. He added that the residential experience on offer would help deliver a rounded education to help students do extra curricular activities as well as academic activities. 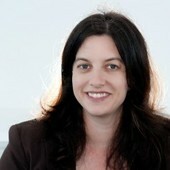 Professor Young also said the donation may impact Australia’s philanthropy sector. “One of the important results of the Tuckwell donation will be to set an example of what people who have succeeded in business or other activities can do. I’m very hopeful that this will act as a catalyst for other philanthropists to make similar donations to Australian universities,” Professor Young said. Applications for the Tuckwell Scholarship open to students in March and will close on April 2.